Marmari. 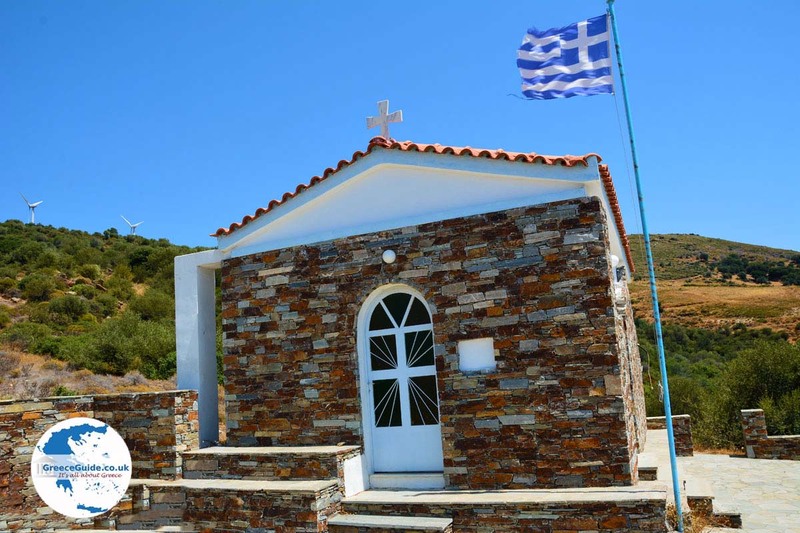 Marmari is a small seaside town in the southwest of Evia which is built partially on a slope. Marmari has 1.200 permanent residents. 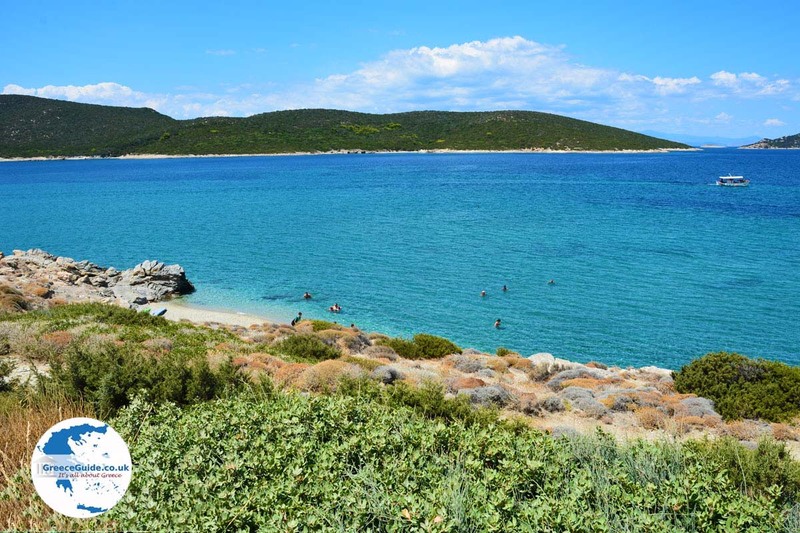 In summer it attracts many tourists, especially from Athens. 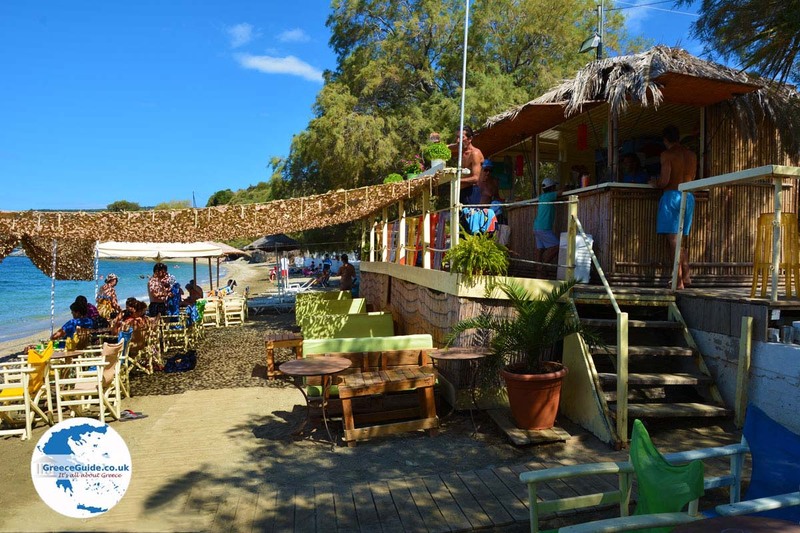 It is right opposite the port of Rafina (Attica) and is easily accessible by ferry. The ferry costs 8 Euros per person and the trip takes about one hour. Marmari is a nice town with a beautiful promenade, beautiful beaches, great cafes, ouzeries, seafood restaurants, taverns and much more. For your stay, there are plenty of accommodations. 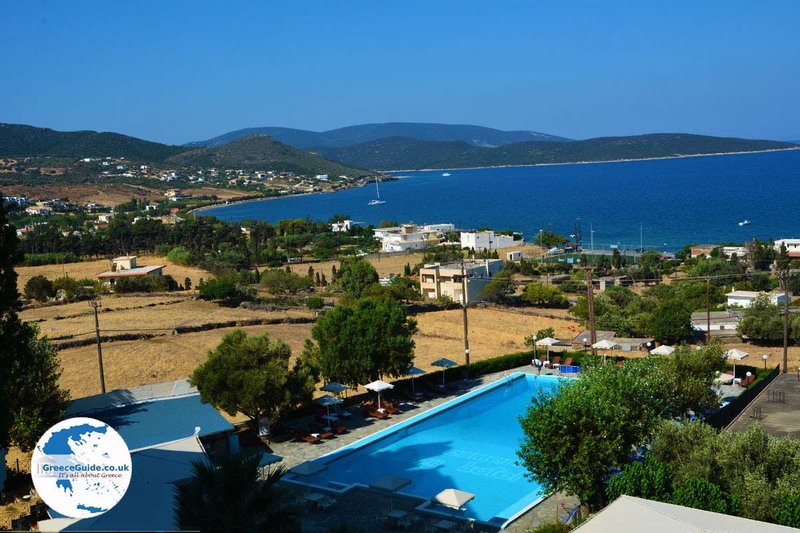 A very nice hotel is the Marmari Bay hotel, which offers excellent views over the bay of Marmari. Gikas apartments, which is owned by a very hospitable family, is a good option as well. 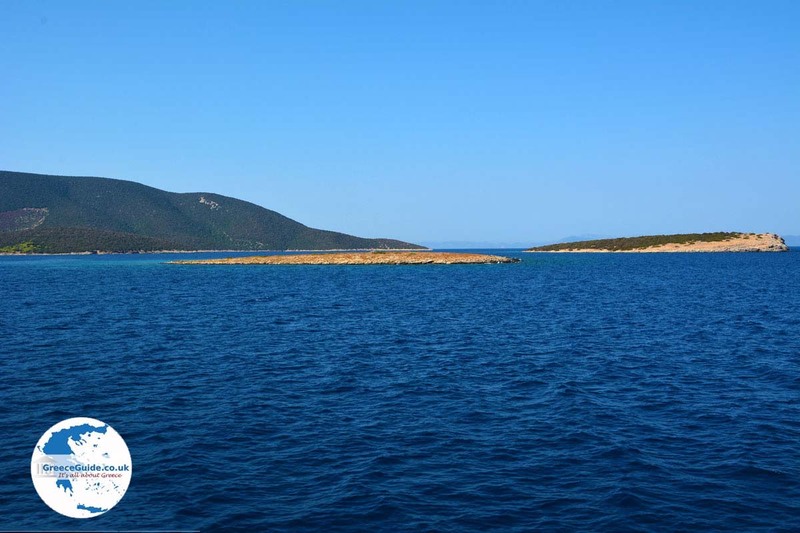 Opposite Marmari are a number of small, beautiful islands, the Petali islands. 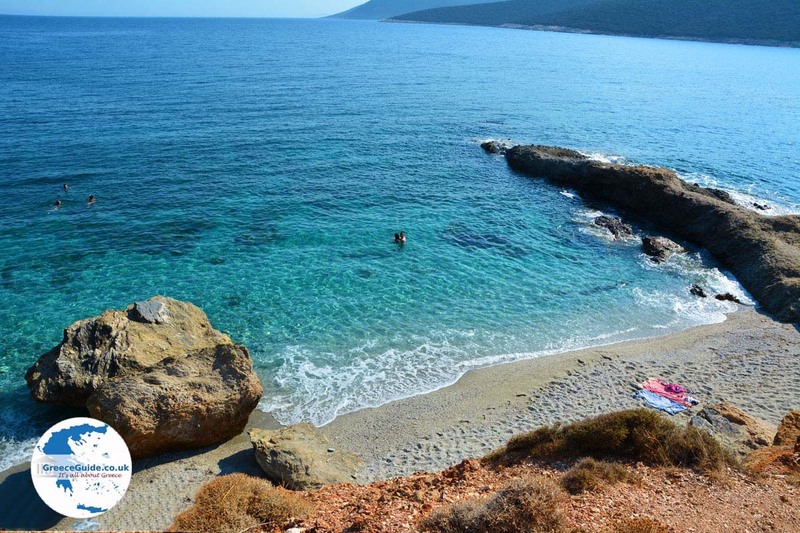 Marmari itself has a beautiful small beach but the best beaches are just outside Marmari, all within walking distance. 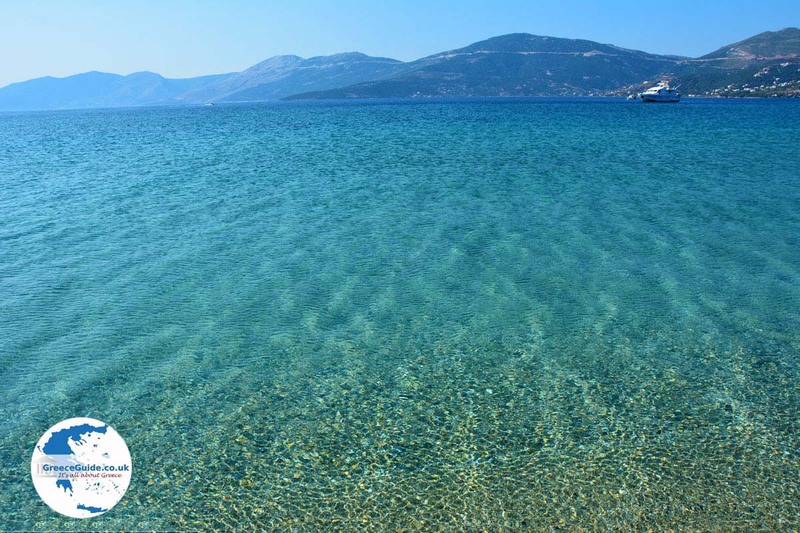 North of Marmari you can find the beaches Fygias, Kokkini and Kavos. They are all beautiful sandy beaches in the middle of a green environment. 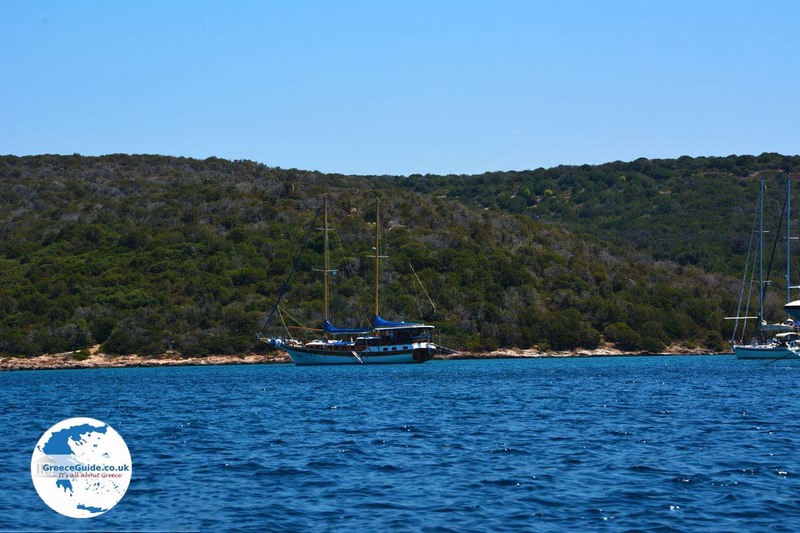 Just behind the beach of Kokkini are lots of villas of wealthy Greeks who built their second "house" here. 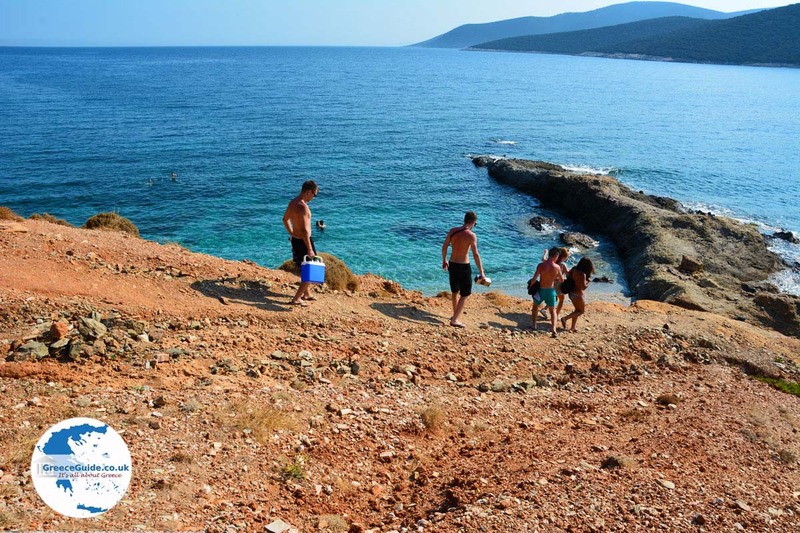 South of Marmari we find the beaches Megali Ammos (Golden Beach) and Zastani. 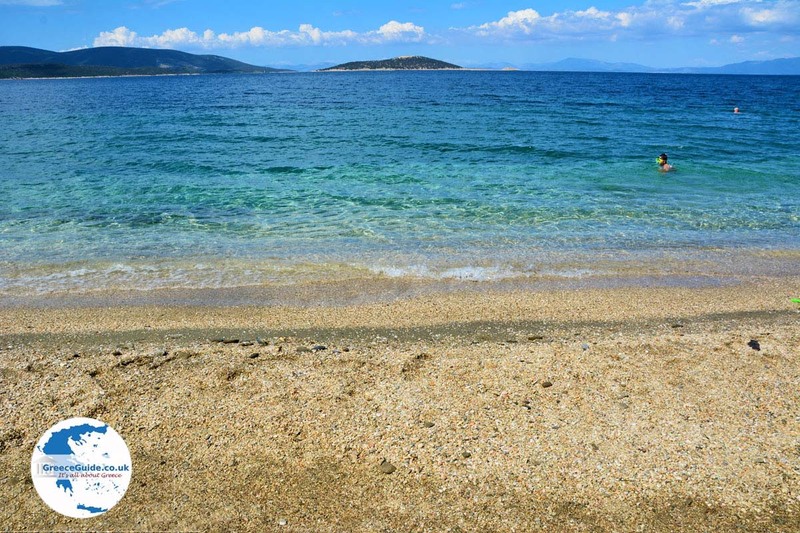 Megali Ammos is a unique sandy beach, it is actually a sand spit which moves regularly. 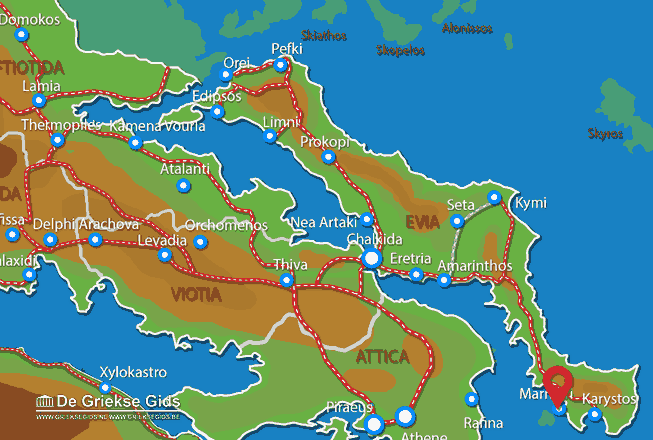 Euboea: Where on the map is Marmari located?